The first half of this fiscal (April 2012 – September 2012) reflected healthy figure for Max Life Insurance. Although most private players were not able to grab a profitable share, Max Life Insurance reported a 6% growth. The net profit for this period was INR 398 as compared to INR 375 for the corresponding period last fiscal. The total premium stood at INR 2900 crore against INR 2872 crore from the last fiscal. Max Life Insurance is a joint venture between Max India and Mitsui Sumitomo, a leading general insurance company in the world. CEO and Managing Director Rajesh Sud that the growth was primarily due to their advice based sales, diversified distribution channel, comprehensive product portfolio and superior customer experience through claims and complaint management. Apart from the premium collection other parameters like Assets Under Management increased by 30% and the sum assured increased by 7%. Solvency surplus grew to 60% and the company’s paid up capital as on September 2012 was at INR 2127 crore. Overall the figures looks impressive despite the pressing times the insurance industry is facing due to economic and regulatory challenges. Max Life Insurance gives the good services to their customers. 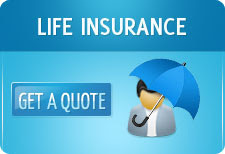 I also take the life insurance policy from this company and with the policy i also obtain the various benefits.